Wait until you try this Ultra QOR (Quality to Price Ratio) treat! We absolutely love this wine and we’re so excited to be able to share it with you. Want to know a secret? Sometimes the most prestigious wineries sell off excess wine to wineries (like today’s!) that purchase the juice, bottle it and sell it under their own label. We can’t tell you where today’s wine came from - but we can tell you that you are stealing it at today’s price! 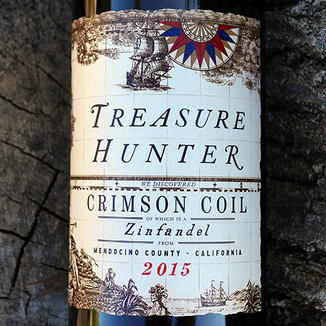 Very aromatic, with lush, balanced aromas of Bing cherry, mixed spice, cigar box, grilled plum, kola nut, hard leather, strawberry, and cracked pepper. Juicy, balanced, and delicious on the palate, with juicy flavors, tempered against earth and spice. Flavors abound, with an explosion of rich black cherry juice, blackberry jam, red currant, and pomegranate bramble, with pie spice, grilled meat, subtle savory herbs, and cracked pepper. “Sure. So Treasure Hunter is just that. 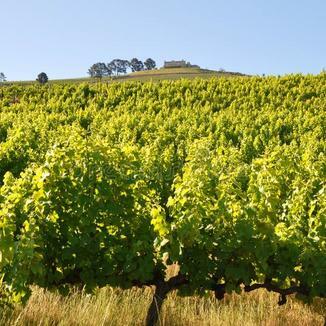 We seek out small lots of wine from the best producers making the right wines from the right AVAs. We taste literally 100’s of wines before we typically select one. We have been doing this for 10 years so we have contacts that no one else has. We buy finished wine from the winery and bring it in and bottle it. 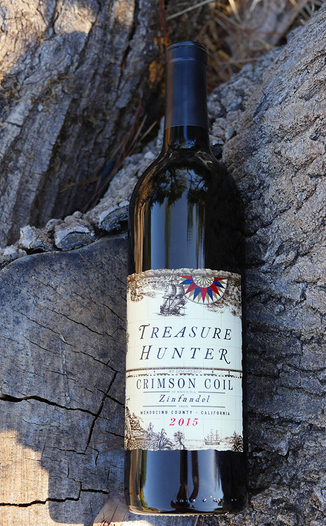 Any Treasure Hunter wine would normally sell for 3-8 times in its native brand. We aren’t allowed to disclose who we get the wines from as we are NDA and don’t want to hurt their reputation anyway. 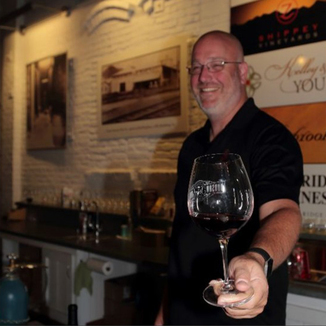 We are honored to be able to get the wine at a great price and turn it around at a great price. Each release is a one-time thing. When it is gone, it is gone. We focus on sub-ava wines from California and Washington State. We’ve released a wine that would normally cost $350 for $50 a bottle. Just recently we released a wine that is normally $130 a bottle for $25 a bottle. How are we able to get them? We pay cash and we don’t tell anyone where we get them. There is often excess wine due to the fact that the wineries want to run out quickly (demand by scarcity). There are lots of other reasons as well, maybe there was a divorce, maybe they don’t have any more tank space, maybe they need the capital for improvements. Each wine has its own story. In the Crimson Coil’s case, the producer was planting a new vineyard and needed the capital from us to help do that. It’s biodynamic wine so expensive to produce with a lot of extra time involved to get his vineyard right. So we quietly bought some biodynamically grown Zinfandel and voila - Crimson Coil was born. The mystery deepens… And this great wine flows to you. Grab some. In fact, grab a bunch! Bright red ruby hues, from core to edge. Bing cherry, mixed spice, cigar box, grilled plum, kola nut, hard leather, strawberry, and cracked pepper. Rich black cherry juice, blackberry jam, red currant, and pomegranate bramble, with pie spice, grilled meat, subtle savory herbs, and cracked pepper. Bright fruit and rich earthy flavors linger for a super long time. As these fade, the palate is left feeling softly dry and a little grippy. Lips, cheeks, and tongue are left longing for another generous sip. Enjoy with your best BBQ, a fennel rubbed leg of lamb or a simple (but delicious!) plate of spaghetti and meat balls!